We recently got a remarkeable request from friends at the youtube channel Gierige Gasten! We kept it a secret, as the idea was to build a chest, big enough to smuggle in a few guys into a concert by drake in the Ziggodome Amsterdam. Well, wishing the guys good luck, our part was finished here, so on to the Gierige Gasten themselves for more action! 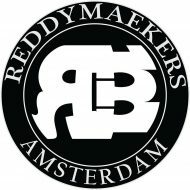 It’s in Dutch, but I have it posed the link to start at our “Let’s Maek it Reddy!” montage!